Includes CD with 100+ forms! An indispensable resource from the foremost expert on differentiation! From pre-assessments of students' needs, interests, and learning profiles, to instructional strategies and on-going assessment ideas, to task cards, rubrics, and final assessments, everything you need to successfully differentiate is here. 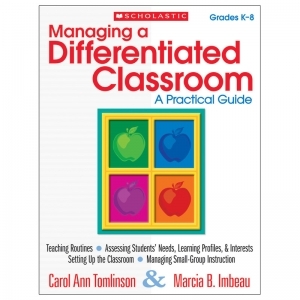 Full of classroom-tested tips and tools for preparing the classroom, establishing routines, setting goals with students, selecting teaching approaches, making and managing flexible groups, choosing and managing materials, and more, this is the go-to guide for managing a differentiated classroom! From pre-assessments of students, 96 pages. Measures 8 3/8 x 10 7/8. Grades K-8. This collection of quick, flexible, informal assessments helps teachers take a snapshot of student learning-at any time during a lesson or unit of study, in any curriculum area. Students' responses give teachers a clear picture of what students know and what they need help with, what material to reteach or extend, and how to pace instruction. Designed to engage a range of learning styles and skills, the assessments come with an easy step-by-step plan, grade-level modifications, tiering tips, and student samples. Also includes 17 customize-and-print assessment forms on a CD. 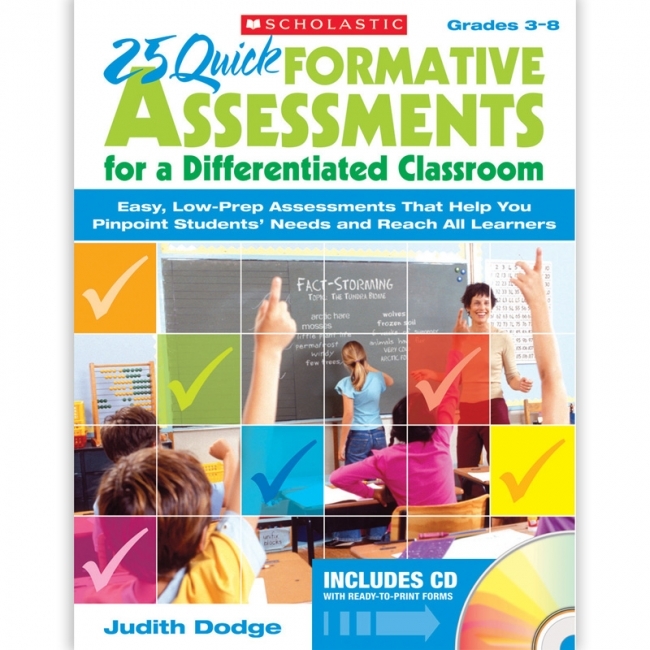 80 pages plus CD 8 1/2" x 11"
Provides quick teaching tips for supporting students at each level! 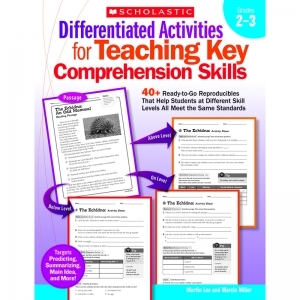 In this collection of standards-based activities, teachers find the leveled materials they need to differentiate comprehension instruction for the range of learners in their classes. Each activity set features a high-interest reading passage that students read independently. Companion activities target specific skills at three levelsbelow-level, on-level, and above-level. Teachers select the appropriate skill sheet for each student, and students use the reading passage to answer questions at their level. Comprehension skills include predicting, sequencing, understanding cause and effect, identifying main ideas and details, and more! Give all learners in grades K-2 the opportunity for success in the classroom! This resource will teach you how to differentiate your lessons through content, process, and product in order to effectively accommodate all learning levels and styles of learning. 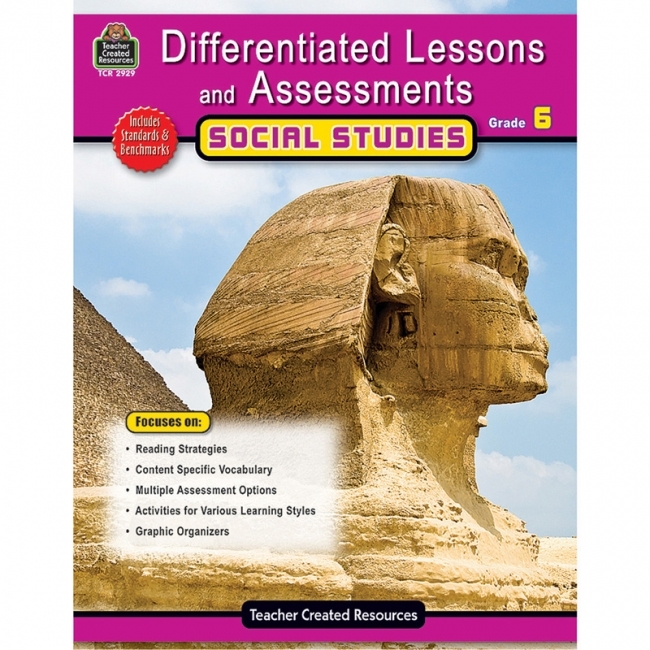 Globally-focused social studies sample lessons and additional templates for use in lesson planning have been included in this latest edition. 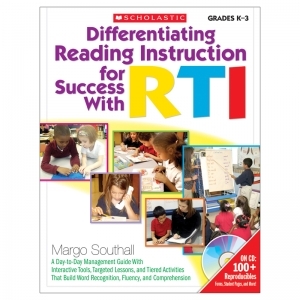 A variety of instructional strategies are featured including: Choices, Inquiry-Based Learning, Multiple Intelligences, Questioning, Self-Paced Strategies, and Tiered Assignments. 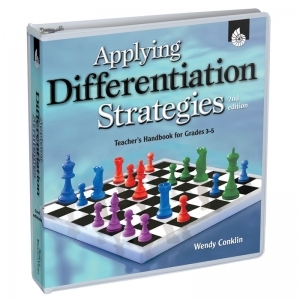 All of the strategies are anchored in extensive research on the importance of differentiation and addressing a variety of learning styles. 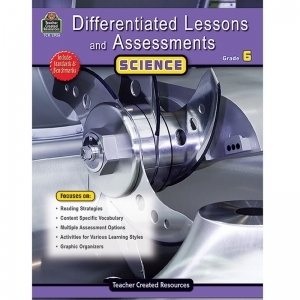 Sample lessons are included in this notebook plus digital resources. This resource is correlated to College and Career Readiness and other state standards. Give all learners in Grades 3-5 the opportunity for successful learning! This newly updated resource will teach you how to differentiate your lessons through content, process, and product in order to effectively accommodate all learning levels and styles of learning. Globally-focused social studies sample lessons and additional templates for use in lesson planning have been included in this latest edition. A variety of instructional strategies are featured including: Choices, Inquiry-Based Learning, Multiple Intelligences, Questioning, Self-Paced Strategies, and Tiered Assignments. 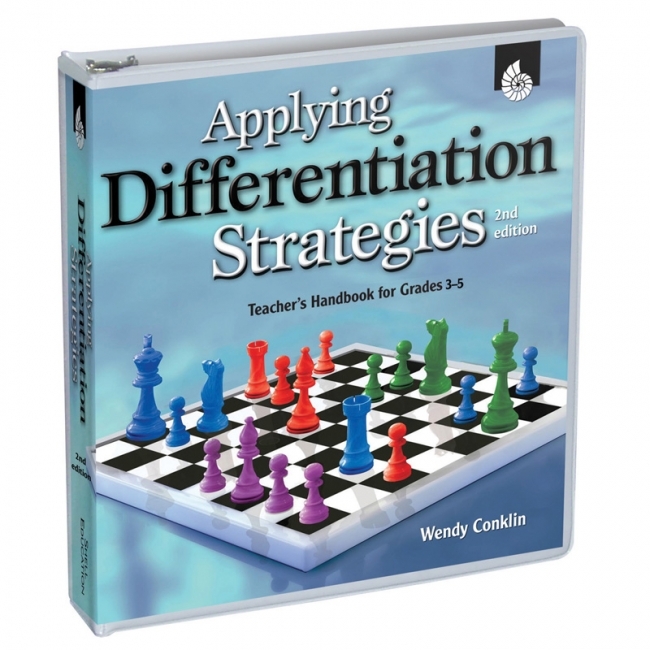 All of the strategies are anchored in extensive research on the importance of differentiation and addressing a variety of learning styles. Sample lessons are included in this notebook plus a Teacher Resource CD. 304 pages. Give all learners in secondary grades the opportunity to succeed in the classroom! This resource will teach you how to differentiate your lessons through content, process, and product in order to effectively accommodate all learning levels and styles of learning. Additional math and high school content has been added to this latest edition to make this guide perfect for grades 6-12. A variety of instructional strategies are included to help meet the learning needs of all learners including: Choices, Inquiry-Based Learning, Multiple Intelligences, Questioning, Self-Paced Strategies, and Tiered Assignments. 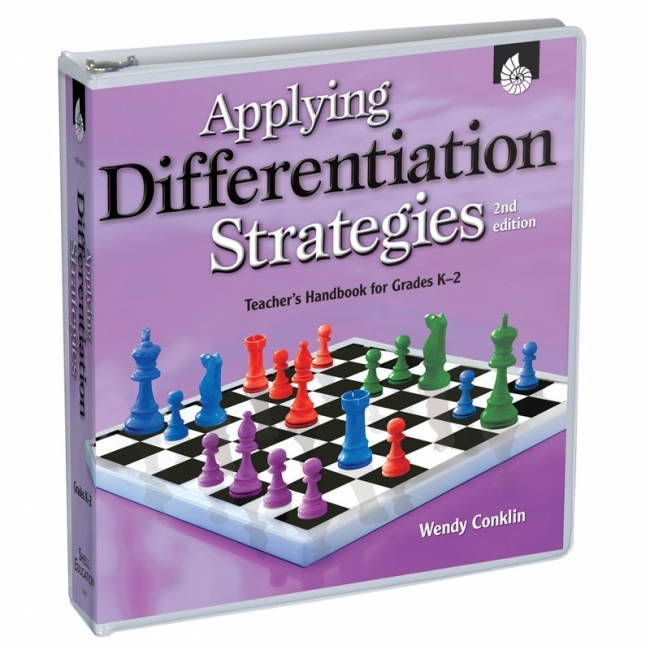 All of the strategies are anchored in extensive research on the importance of differentiation and addressing a variety of learning styles. 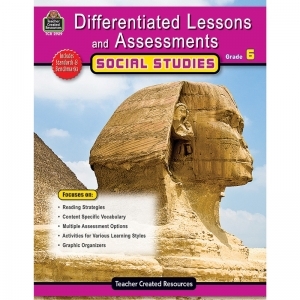 Sample lessons are included in this notebook plus digital resources. This resource is correlated to College and Career Readiness and other state standards. Practical strategies, activities, and assessments help teachers differentiate lessons to meet the individual needs, styles, and abilities of students. Each unit of study includes key concepts, discussion topics, vocabulary, and assessments in addition to a wide range of activities for visual, logical, verbal, musical, and kinesthetic learners. 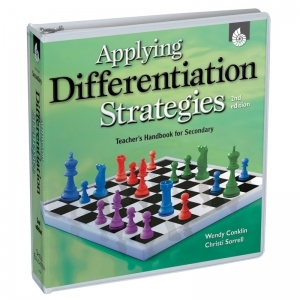 Helpful extras include generic strategies and activities for differentiating lessons and McREL content standards. Topics include: Cells; The Reproduction of Living Things; Plants; Plate Tectonics; Matter; Machines; Force and Motion; and Technology. 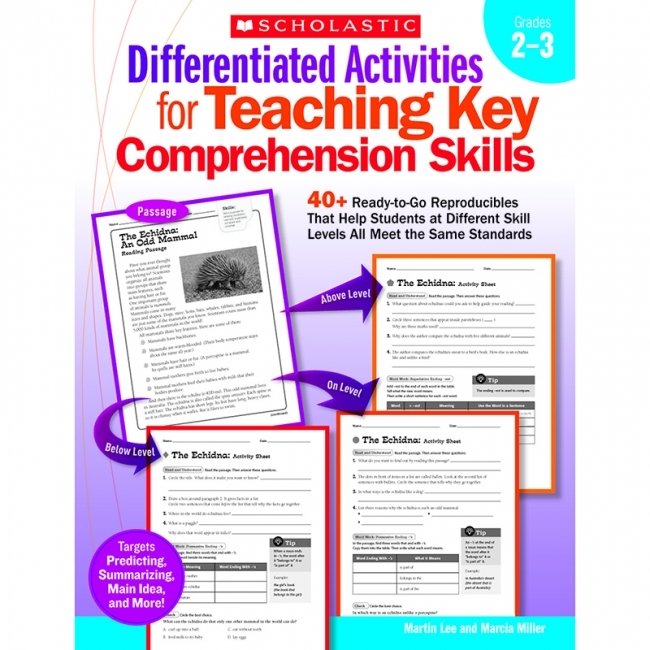 Practical strategies, activities, and assessments help teachers differentiate lessons to meet the individual needs, styles, and abilities of students. Each unit of study includes key concepts, discussion topics, vocabulary, and assessments in addition to a wide range of activities for visual, logical, verbal, musical, and kinesthetic learners. 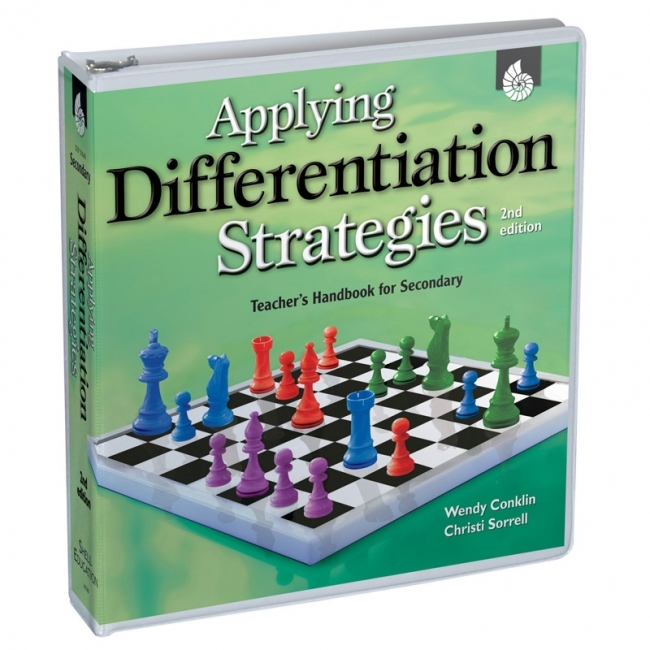 Helpful extras include generic strategies and activities for differentiating lessons and McREL content standards. Topics include: Ancient Civilizations; Ancient Egypt; Ancient China; Ancient India and Persia; Ancient Greece; Ancient Rome; The Byzantine Empire and Islam; Europe in the Middle Ages; and The Renaissance.